Home / Miscellaneous / 2009 Annual Awards Night / Club Treasurer Larry Power presenting awards to the 2009 All-Ireland Veteran Team Champions. Club Treasurer Larry Power presenting awards to the 2009 All-Ireland Veteran Team Champions. 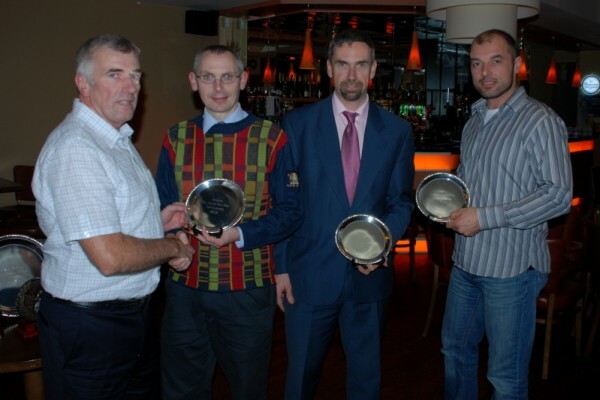 Description: Club Treasurer Larry Power presenting awards to the 2009 All-Ireland Veteran Team Champions. This team achieved the sixth title of a record breaking six in a row All-Ireland Veteran Team Titles for the club.